Make way for Springtime! Make way for white wines! Before rosé mania arrives this summer, let’s defy the myths, dare to be different, and take the time to rediscover white wines and all of their subtleties. From the aperitif to dessert, and throughout your meal, you will love drinking them. They will make your taste buds sing along with your other senses. From the hundreds of existing grapes variety, we suggest these wines made with Sauvignon, Chardonnays, Vins de Pays, Reislings, Marsanne/Roussannes, and Pinot Noir! 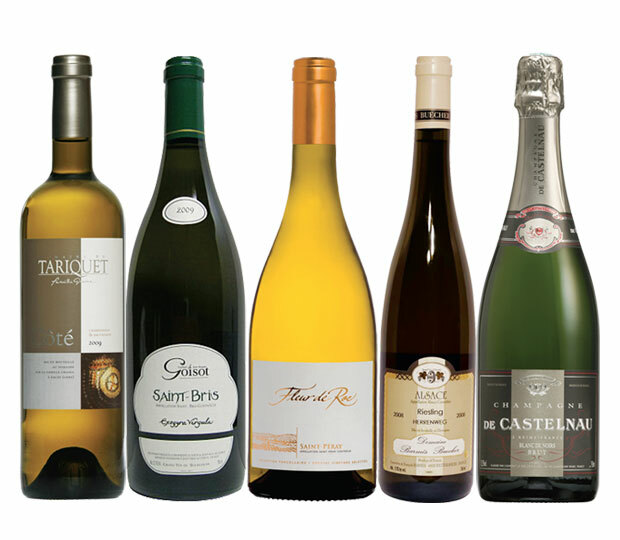 Let’s take a tour of the white wine regions of France with these excellent choices for this lovely season! Cave de Tain Fleur de Roc Saint-Péray 2008 Essayer ce vin, c’est l’adopter! 50 % marsanne et 50 % roussanne. Rond, charmeur et doté d’une bonne acidité. Se boit autant à l’apéritif, que sur des plats en sauce. Code SAQ : 11153811. 21,65 $. special occasion For your Easter brunch or on Mother’s Day, nothing goes better with ham or a leg of lamb than celebration wines! Why not choose a Cremant from Burgundy or Alsace, or a Brachetto d’Asti from Italy? You will love these very affordable bubblies!